When you have a unique and great business idea, you get excited about the prospects of bringing your vision to life and starting a business and website of your own. Having great products and services is just a part of making a successful business today. You also need to put time and effort into developing a quality website that will draw people to your physical location or web business. There is so much more today that goes into having a successful web presence that it can seem an overwhelming challenge to you to do it yourself, especially if you do not have much experience doing this type of work. If you are looking for quality web services to help you out, you do not have to look any further than us at Website Depot. One of the web services that we can provide you at our firm is to help you develop and start your website from the ground up. Our expert team of web designers can meet with you, talk about your business and your vision, and then set to work to help make it all come alive for you on your website. We have web designers, coders, and digital marketing experts that will all work with you so that you can have an engaging, quality websites that rank well in search engines so you can get your business off to the best start possible. We will also work with you to create a site that is friendly to use on mobile devices since more people are making use of smartphones and tablets to find products and services today. 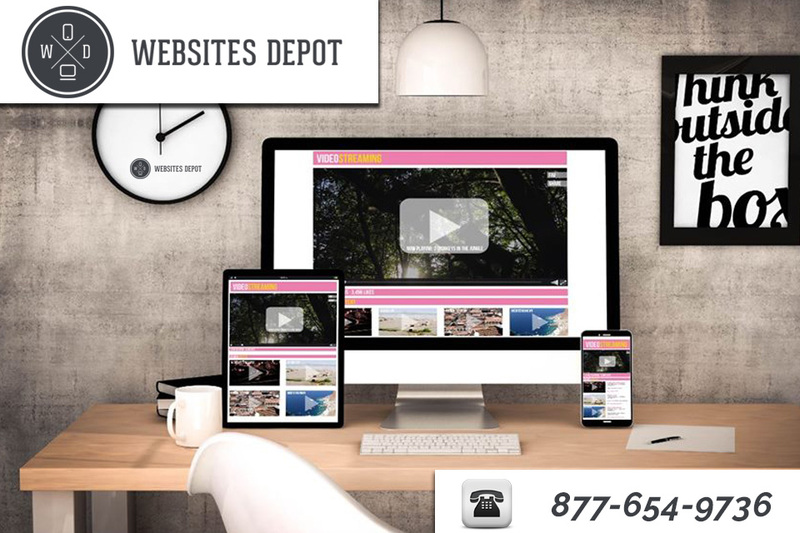 At Website Depot, we can do more than just help you develop and execute a website. We can also assist you in the best marketing of your business so that you get the notice and attention you want. We can work with you on effective social media marketing campaigns and employ SEO marketing strategies. These efforts will help get your business in from of potential customers that are most interested in the business you have to offer, making it more likely that they will convert into paying customers. If you are ready to get your business ideas up and running on the Internet, take the time to contact us at Website Depot. You can learn more about our business by visiting our website at www.websitesdepot.com, or you can call us directly at (877) 654-9736 and speak with a team member to discuss scheduling a consultation. We can help you make your business dream into a successful reality.